Frank Uhlmann was born and grew up in Germany. He studied Biochemistry and Physiological Chemistry at the University of Tübingen before joining Jerry Hurwitz's laboratory at Memorial Sloan-Kettering Cancer Center for his PhD studies. Frank then moved to the Institute of Molecular Pathology (I.M.P.) in Vienna to work as a postdoc with Kim Nasmyth. In 2000, he established a research laboratory at what was then the Imperial Cancer Research Fund in London. He has remained there since, while the institute became part of Cancer Research UK and now the Francis Crick Institute. Ylli Doksani did his PhD in Marco Foiani’s lab in IFOM, working on the mechanisms that respond to DNA double strand breaks during replication. Then he moved for a post doc in Titia de Lange’s lab at the Rockefeller University where he studied the mechanism of chromosome end protection. In particular he applied superresolution miscroscopy and a newly-developed chromatin spreading technique to the study of t-loop structures that from at chromosome ends. In March 2016 he moved to IFOM as a junior group leader where he will use the telomeres as a tool to study the replication stress response. MD from Naples University Medical School, then two post-Docs at the Max Planck Institut fuer Biophysik (Frankfurt, Germany) and NIH (National Institute of Arthritis and Metabolic Diseases) Bethesda, MD (U.S.A.). In 1970 back in Italy at the CNR Research Center in the Naples University Medical School, then in 1980 Full Professor at the II Faculty of Medicine of the University of Naples. Subsequently, Professor at the University of Copenhagen, Denmark and finally in Milano since 1992. 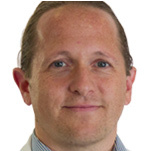 Is at IFOM since 2004, Director of research program Transcriptional Regulation in Development and Cancer. From 2007 to 2011 coordinates the Molecular Oncology PhD program of SEMM. In 2011 becomes Deputy Director for Science of IFOM. 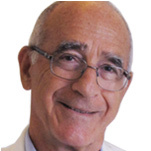 Has previously been Director of the International Institute of Genetics and Biophysics of CNR in Naples (1980-1983), of the Molecular and Cellular Biology Center in Copenhagen (Denmark), (1988- 1992), and of the Department of Cellular Biology and Functional Genomics (1998-2006) at DIBIT, Ospedale San Raffaele. In 1979 is elected member of EMBO, the prestigious European Molecular Biology Organization, and 1991-1993 of its Council. Since 1992 is a member of Academia Europaea. Has received national and international prizes and is Author of over 270 research articles in prestigious international Journals, including Nature and Cell. Has been a member of the Advisory Board of AIRC, Associazione Italiana per la Ricerca sul Cancro, and of the Board of EMBO Journal. 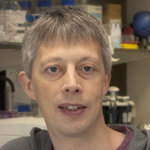 Julian Sale is a Programme Leader at the MRC Laboratory of Molecular Biology in Cambridge, U.K. He practised medicine before undertaking a PhD with the late Michael Neuberger on somatic hypermutation of immunoglobulin genes. Since 2001 his group has studied how impediments to DNA replication cause mutagenesis and, more recently, epigenetic instability. He is also a Fellow of Gonville & Caius College, Cambridge, where he teaches Pathology. Prior to becoming the head of the DNA Editing in Immunity and Epigenetics Unit at the IFOM, Dr. Svend Petersen-Mahrt headed-up the DNA-Editing lab at Cancer Research UK. The work in his laboratory focuses on the notion that DNA instability - usually associated with cancer - provides an advantage to an organism. His lab analyses a novel family of enzymes - DNA deaminases - that mutate our genomes over a billion times a day. The interest in understanding targeted DNA mutations as a driving force in evolution has infected Dr. Petersen-Mahrt since his PhD training in the USA, and continued throughout his post-doctoral training at the BMC in Uppsala Sweden and the MRC-LMB, in the UK. His recent discovery in how DNA deaminases are regulated may have provided the answer to how estrogen causes cancer. While his biochemical approach in studying DNA lesion resolution has lead to the development on novel in vitro tools, with the first in vitro DNA demethylation assay being a stepping stone in understanding epigenetic reprogramming. 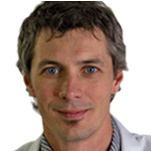 Peter De Wulf is a group leader at the European Institute of Oncology, Department of Experimental Oncology in Milan, Italy. He obtained a M.Sc. degree in Bioengineering (1991) and a Ph.D. degree in Industrial Microbiology and Biocatalysis (1995) from the University of Ghent, Belgium. He performed post-doctoral research in signal transduction (Prof. Edmund Lin) at Harvard Medical School, and in kinetochore biology (Prof. Peter Sorger) at the Massachusetts Institute of Technology. Since 2005, his lab has studied chromosome segregation in Saccharomyces cerevisiae. Current efforts are focused on a new and conserved pathway that regulates centromere transcription to promote kinetochore assembly and activity. 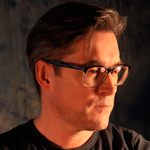 Rob Martienssen is a Professor at Cold Spring Harbor Laboratory and a Howard Hughes Medical Institute and Gordon and Betty Moore foundation Investigator in Plant Biology. 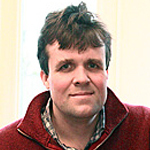 Dr. Martienssen obtained his PhD at the Plant Breeding Institute, Cambridge University. He received his postdoctoral training at the University of California, Berkeley, and joined the faculty at Cold Spring Harbor in 1989, Research in Dr. Martienssen’s laboratory focuses on epigenetic mechanisms that shape and regulate the genome, and their impact on development and inheritance. His work on transposable elements in plants and repetitive sequences in fission yeast revealed a link between heterochromatin and RNA interference for which he received the AAAS Newcomb Cleveland Award in 2003. 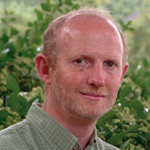 Professor Martienssen was made a Fellow of the Royal Society in 2006, and an associate member of EMBO in 2011. 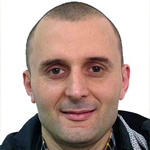 Andrea Ciliberto obtained his PhD in Genetics in 2000 from the University of Florence, working on a combination of experiments and mathematical models of the early development of the sea urchin embryo. He then specialized in modeling molecular regulatory networks with John Tyson and Bela Novak, at Virginia Tech and in the Institute of Advanced Sutides Collegium Budapest. Since 2005 he has been group leader of the 'Quantitative biology of cell division' lab in IFOM. His laboratory is particularly interested in understanding with quantitative tools the mechanisms of chromosome segregation. Thomas Vaccari obtained his B.Sc. in Biology at the University of Milan, Italy. 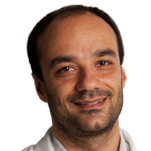 He worked in Anne Ephrussi’s group at the EMBL where he obtained is Ph.D. in 2003. He then joined the lab of David Bilder at the University of California, Berkeley, where he identified a novel class of tumor suppression genes in Drosophila. In 2009, he established his lab at IFOM in Milan, where he studies how endocytosis controls signaling and tumor suppression. Marina Mapelli graduated in Physics at the University of Milan (Italy). She spent her PhD at the EMBL of Heidelberg and Hamburg, and obtained her PhD in Crystallography from the Birkbeck College in London. As a postdoc at the European Institute of Oncology with Prof. Musacchio, she studied Mad2 complexes (Mapelli Cell 2007) and the Aurora-B kinase (Sessa & Mapelli, Mol. Cell 2005). Upon becoming a group leader at the European Institute of Oncology of Milan in 2009, she became interested in the molecular mechanisms governing asymmetric stem cell divisions, with focus on how the mitotic spindle is coordinated with cortical polarity and niche contacts. 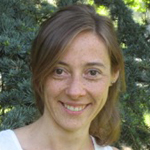 Major contributions of her lab to the field include studies of Inscuteable:LGN (Culurgioni, PNAS 2011), Afadin:LGN (Carminati, NSMB 2016), and NuMA phosphorylation by Aurora-A (Gallini, Curr. Biol. 2016).